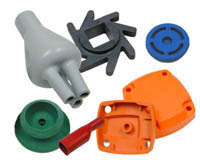 Rubber Industries, Inc., is the leader in custom molded rubber and silicone products. 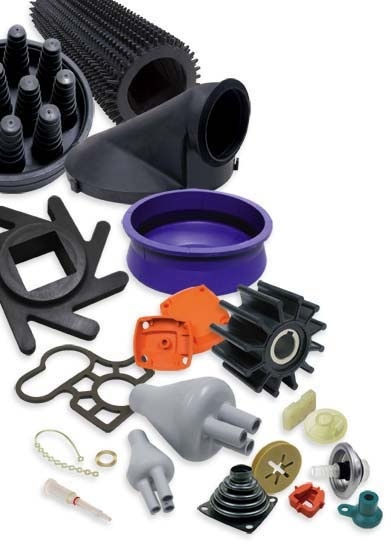 We have been in the custom molded rubber and silicone industry for over 45 years and can produce any custom molded rubber or custom molded silicone part to meet your needs. 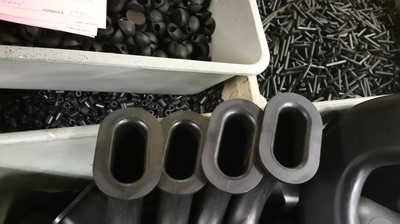 If you need custom molded rubber or custom molded silicone products then we have the technology to help you design your product, build a mold, and manufacture the part all in a matter of days, not weeks or months. We offer all of our services 24 x 7 x 365 to ensure that our customers can see their project come to fruition in record time. 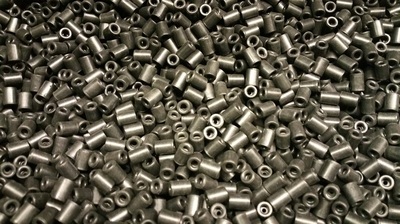 Nitrile also known as NBR, is a synthetic rubber compound with unique resistances to oil, fuel, and chemicals. Between that and its flexibility characteristics, NBR is suitable for a number of specialized applications and can be injection molded, compression molded, transfer molded, and overmolded. You've probably already used our products unknowingly because the brands you trust daily trust Rubber Industries to manufacture their most critical parts. We can use Nitrile to make seals, gaskets, and o-rings at your convenience. We proudly serve the medical, automotive, industrial and consumer industries 24 x 7 x 365. All while providing the fastest and highest quality parts that they can rely on. Some orders might require NBR to be molded and bonded over a different material to best suit the intended application. At Rubber Industries, we're experts in making nitrile overmolded parts. We can bond nitrile to stainless steel, brass, aluminum, and glass-filled nylon to meet the rigorous demands of any application. At Rubber Industries, we're known and respected for offering the fastest prototyping and production services in the industry. We can take your product from the earliest prototyping phase to full-blown production in a matter of days. Nitrile also known as NBR, is an easily adjusted material and we can use it in a number of molding methods. We have several large injection presses that have a fast cycling rate and are capable of injecting up to fifteen pounds of material per shot. This allows us to make larger pieces and larger quantities of pieces faster than the competition. NBR overmolded parts can be used in a multitude of products. From tool handles to wiring, nitrile overmolded manufacturing is extremely common. Nitrile has a number of properties that make it perfect for the industrial, automotive, and consumer sectors for a large amount of applications. ​A synthetic kind of rubber made to be resistant to piercing and chemical degradation, nitrile is a perfect choice of material for those who want to produce a part that will last a long time. Strong and resistant to damage in various applications, nitrile is a popular choice in both the medical and automotive industries. Whether it is exposed to chemicals, intense pressure, or sudden impact, it tends to keep its shape and color and form a seal that is difficult to break. For industrial situations that require extreme durability, nitrile to metal bonded or overmolded applications are possible when you work with an experienced service like Rubber Industries. In addition to these well known products, we can create anything you can design with our custom applications. Thanks to our extensive experience and large team on standby. we can make and ship your tooling and custom parts order within days of you placing it. No order is too large for us to complete in a quick time frame. 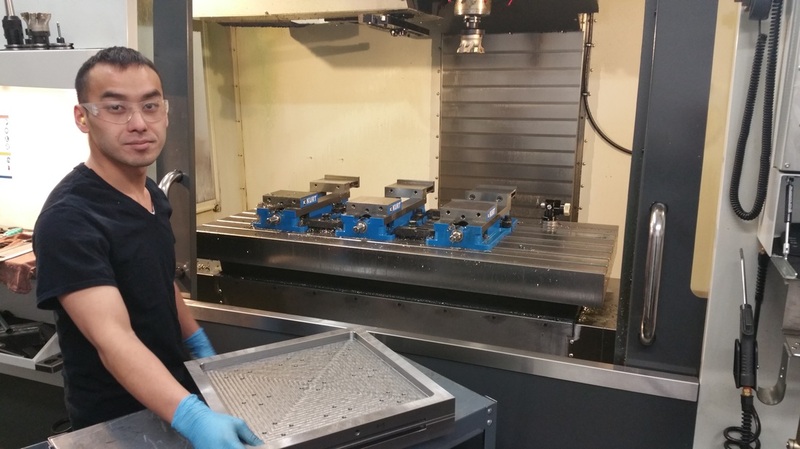 Our team can complete custom tooling and production of up to 10,000 units within just one week, depending on the size and complexity of the part. 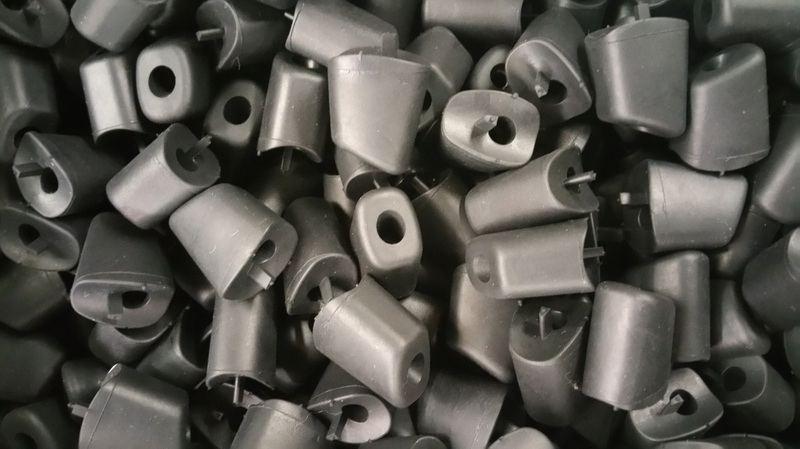 Rubber Industries' experience with custom tooling parts for medical, automotive and industrial clients has led us to develop the fastest process in the industry. From the initial contact, when we learn about exactly what you need made, to the custom tooling and production, we can have your finished product shipped to you in just a week's time. If you aren't sure which process is right for the kind of part you want made, we can assist you in making a choice. Custom molded parts, like o-rings, seals, bellows, diaphragms and gaskets, are no problem for us. With Asian manufacturing partners, along with a workforce at our Minnesota based headquarters, we are able to keep production going 24 hours a day. This dedication to making things in the fastest time frame possible is why our customers choose to work with us again and again. Contact us to find out more about how we can use a nitrile overmolded approach to make your product a reality. Rubber Industries' experience with nitrile dates back to our founding, approximately 50 years ago. 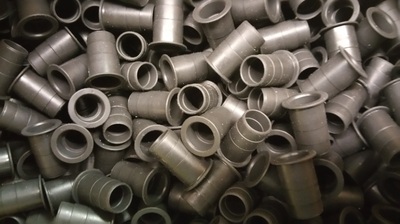 We also sell millions of custom molded parts of nitrile parts into the automotive, marine, off road vehicle, seals, o-rings, and industrial molded market. We also use nitrile in the impeller and bilge pump industry for high performance design characteristics. We mold nitrile in multiple colors. We make millions of NBR seals, gaskets, diaphragms, and o-rings every year at our 5 acre facility and even more are made by our trusted Asian partners. We have been in business for fifty years and have been ran by our family for three generations. This consistency in ownership provides an unparalleled consistency in service. Why partner with a company that changes management and policies every two years when you can partner with a company that has stood the test of time? We create custom tooling for all of our custom molded products. Our experience, professionalism, and dedication are why the brands you trust daily trust Rubber Industries to manufacture their most critical parts ever single year. We've accomplished incredible feats. Such as the time we created the necessary custom tooling, produced more than 10,000 individual, custom molded, pieces, and then delivered them in just one week's time. 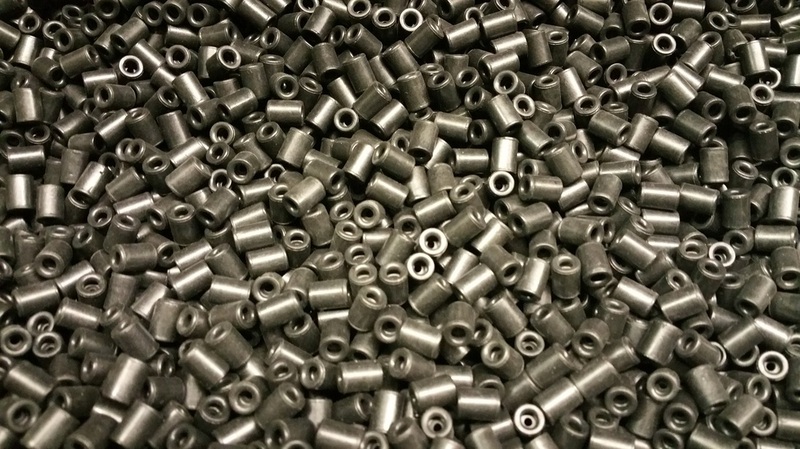 A large portion of our business is dedicated to making NBR overmolded pieces. With that dedication, we've become the go-to experts. The medical field is one of our largest clients. We provide safe, non-toxic, and high-quality pieces by the millions for them. Our overmolded pieces are the highest quality that you'll find anywhere in the industry. The automotive industry is a major consumer of nitrile also known as NBR devices. It's used in items like hydraulic hoses, tubing, roll covers, bellows and it can withstand low temperatures admirably. Its resistance to oil, fuel, chemicals, and gas make it one if the most flexible materials to use in automobile and aerospace applications. Our custom molding is truly custom to your needs and parts so you receive the best value for your money and often times can reduce the lifetime cost of your project. We can take your designs or create our own, program them into our top of the line CNC machinery, and cut them from 4130 steel that will last for tens of thousands of molding processes without deforming, malfunctioning, or losing their precision. We have the fastest prototyping and production services at our 5 acre campus. No one can match the rapid prototyping speed and manufacturing efficiency of our company without sacrificing their quality. Over the course of fifty years, we have perfected the processes we use to deliver both speedy production and unparalleled quality. We work with world renown companies such as Ford, GM, Bell Helicopter, and even The Disney Company to manufacture the items they rely on. Our own custom tooling is used to manufacture everything that leaves our facility. We only use the best stainless, 4140, and 4130 steel to manufacture our tooling and we offer it at affordable prices. This means that you don't have to replace it like you would aluminum tooling and you save thousands over the course of your project. Our materials can be overmolded onto a variety of other materials. We can bond or overmold our nitrile or other materials onto glass-filled nylon, steel, aluminum, or brass to make an exceptionally high-quality piece. 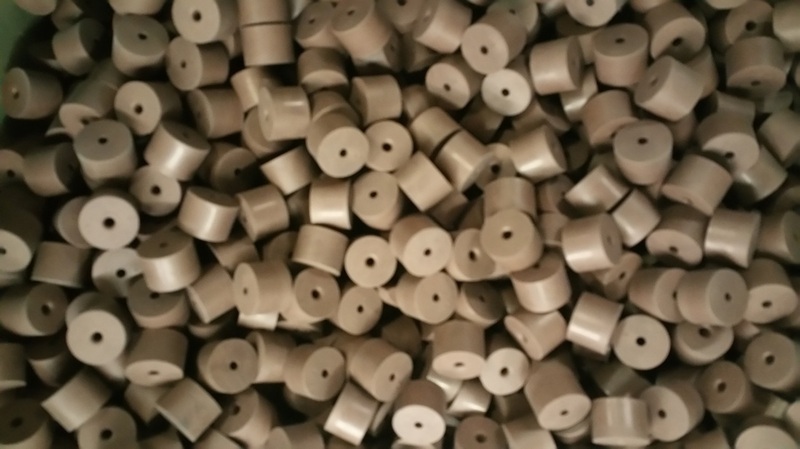 Our fully customizable processes can create custom molded seals, gaskets, o-rings, bellows, diaphragms, and much more from over 2000 custom formulas and in a variety of color options. We utilize the help of our trusted Asian partners to provide unmatched efficiency in the production of our nitrile overmolded items. Our NBR overmolded pieces are designed and manufactured in our USA based facility and in the facilities of our trusted Asian partners to create reliable, high-quality, and affordable pieces for your projects. By remaining open 24 x 7 x 365, we provide our services when you need them and finish your projects in record time with highly qualified experts executing each and every step of the process.